If you are following me for a while now, you know that I love styling statement shoes. I don't have a problem with them at all, but when it comes to bags, I like to keep it classic. Some time ago, this lovely bag arrived at my door, I didn't even know that will come. The funny thing is that just before the bag arrived I was talking with my sisters how my color for the summer definitely is a mustard yellow. Then the package arrived and there was a note saying that they thought this was the color for me! I guess this bag arrived in the right hands. I loved everything about it, from chic design and color. I must say when I first wore it it was a bit weird for me because I was actually wearing a colored bag! ➤ If you go with the first option, you can add bandana in the mustard yellow or maybe earrings, it's a good way of connecting all the pieces. Look at your outfit as a puzzle, you want all pieces to fit in and to represent a wholeness. ➤ When you have a bag standing out as a color, it's always a good idea to style it with a pattern. It could be a houndstooth print (for example you can style houndstooth pants with the white blouse and you can add mustard yellow bandana or turban). ➤ You can style it with neutral colors like brown, taupe or beige. ➤ You can go with a jeans dress and chunky earrings. You see, it's not that hard styling a colored bag! Let me know in the comments how you style them and do you like wearing them? I love a statement bag. I haven't found just the right one yet, but this yellow one is gorgeous! I absolutely love your bag! 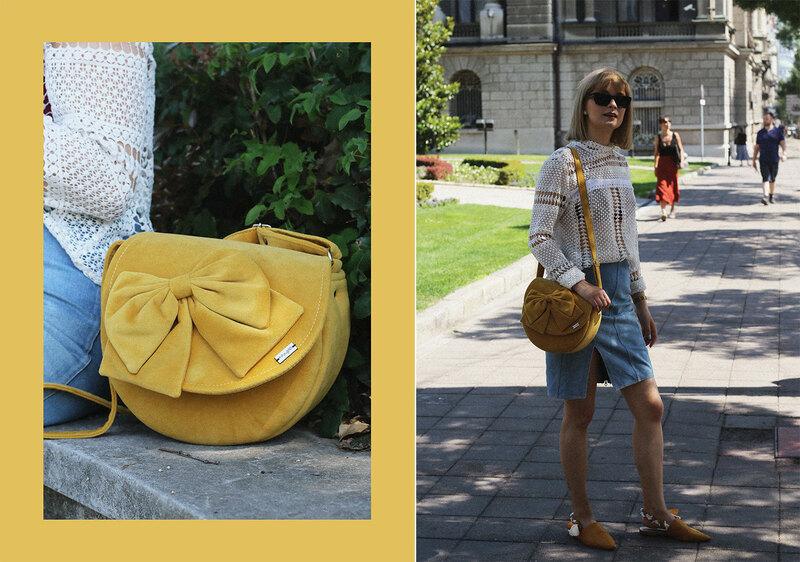 I love that mustard colour in summer especially paired with denim elements! Thanks for this fashion tips. I can use all the help I can get a look together. Love the bags and shoe combination for sure! I always had a thing for colored bags. I have almost every color now. I don't however have anything in mustard and this post reminded me that I need one. I love your shoes and I like the cut of your top. You look very chic. Everything ois just lovely! You always make such beautiful pairings, I am not sure I could pull off outfits like this but on you it looks so stylish like it came from a magazine :) I love the pop of colour! Bags are my favorite! I have so many statement bags and never know what to wear with them. Love the tips! Your bag looks super cute! I loved the way how you have styled it with your entire outfit! Love that bag, such a pretty mustard colour! It makes such a statement to the outfit and you styled it so well! Great tips, any colour can be paired with white! You did a cracking job styling this gorgeous bag. 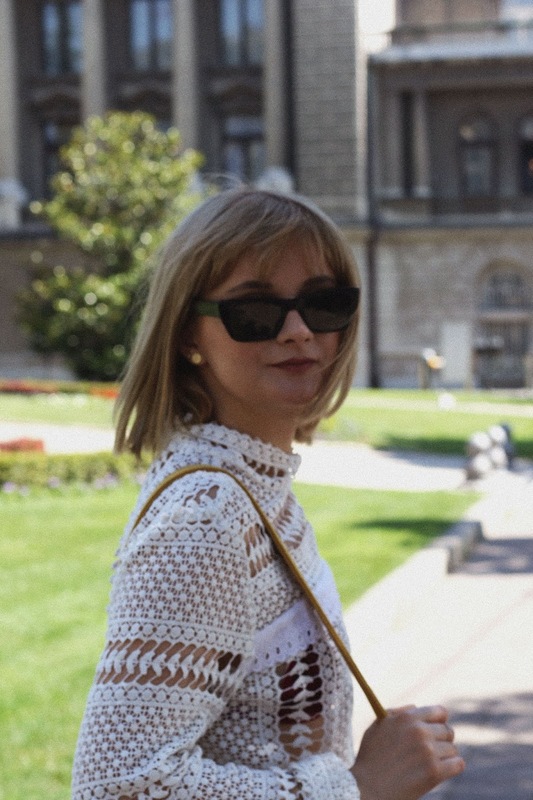 I really love how chic your style is and everything just looks amazing on you. The bag is everything and paired with the shirt and the shoes it was an awesome fit. I loved everything about the outfit including the sunglasses. Thank you so much Chasity!